It's Friiiidaaay!!!!! What are ya'll plans...anything exciting?!? 1. 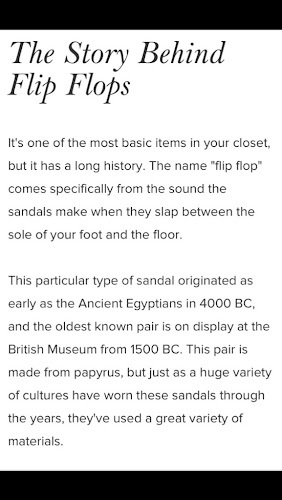 What is the history of the flip flop anyways?!? 3. So then I got thinking...how does wearing flip flops affect us as runners? What are your summer shoes of choice? Anyone not like wearing Flip Flops? Who's racing this weekend (and what are you wearing on your feet)?!? I don't believe I could survive summer without flip flops! 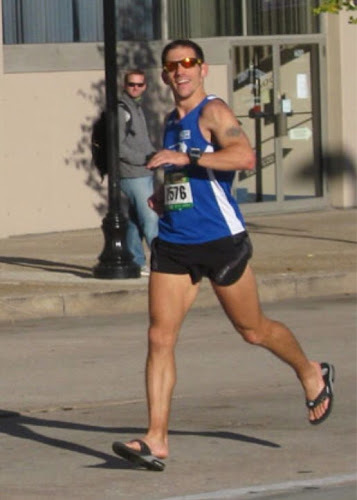 And I only wear my running shoes when running (unless I'm chasing my 2 year old around). Havaianas or wedge shoes. Like CRMike I only wear running shoes to run in. 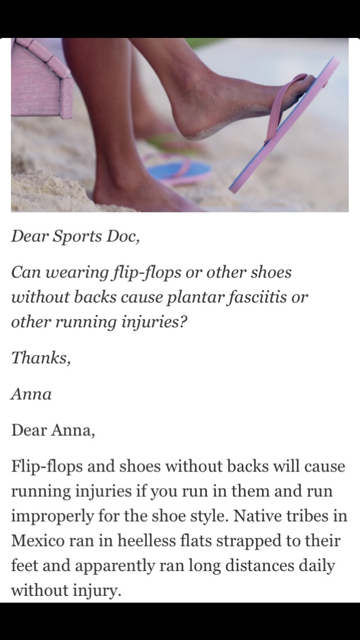 I read a similar article on flip flops recently, but I just can't give them up. I love wearing my flip flops in the Summer! 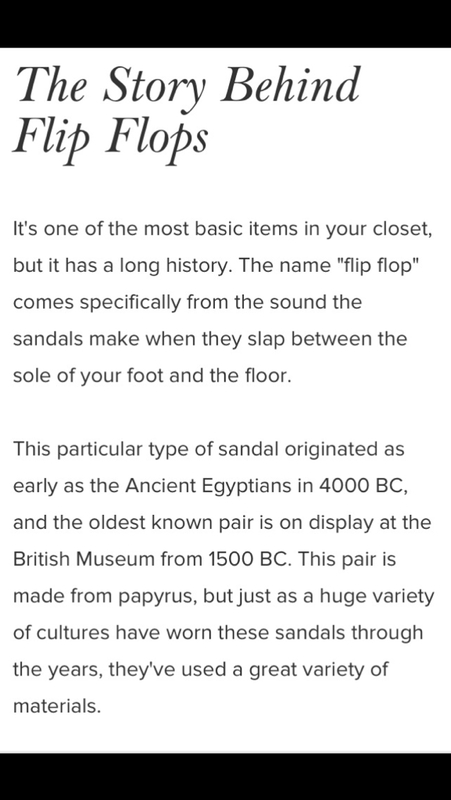 I recently bought some Chaco flip flips that have full arch support and are so comfy, so I think they are much better than the standard flip flips (at least I like to think so!). I love that article! I love flip flops! in the summer you will always find me in flip flops. they're the perfect shoe! So comfy...easy to get on and off...what more could you ask for in a shoe right?!?! I know right...I'm not about to give up mine either! This post makes me sad because it sounds like my flip-flops need to be trashed :( I LIVE in flip-flops. Even if there is snow on the ground (light snow) I wear them. This is a great article with great information! Just not what I wanted to hear haha. 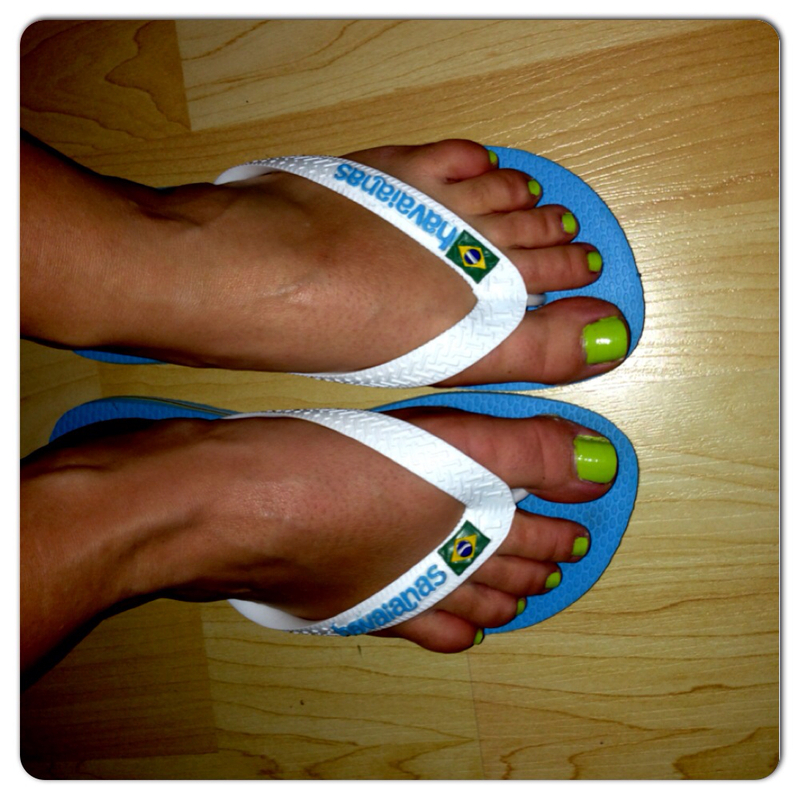 I'll definitely have to check out the havaianas! 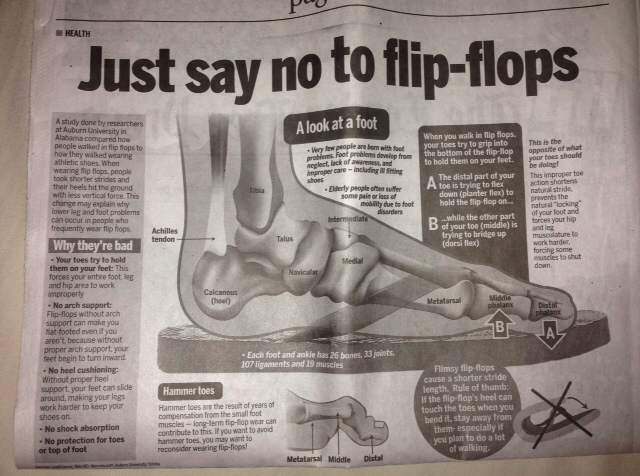 OK, so I've been reading so much about how bad flip flops are for you, but I'm absolutely refuse to give them up! I have a permanent flip flop tan. No joke. My favorites are rainbows. Really good quality leather and sturdier than other flops. I like flip flops that have a bit of a heel! Unless I'm working out, I always have on flip flops or sandals in the summer! To give up or not to give up... that is the question! I have a serious love affair with my summer sandals. I only wear them, however, when I'm not in my running shoes! That's not often, needless to say. Great post! Flip flops are literally THE only shoes I wear all summer long, other than my running shoes. I don't think I could ever give them up! They're just so easy and comfy! When disobedience is not yet acted upon, it is not part of one's nature. That is how relationships happen and it is the secret to datinjg success.